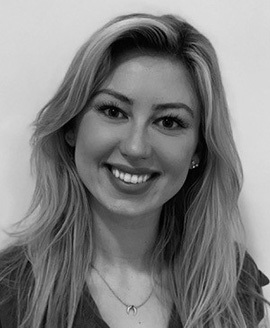 Roz came to Galileo after moving to New York City with a desire to expand her understanding of human connection through market research. She found a passion for the industry early on in her college career, conducting qualitative research with a focus on sexual identity through an academic lens at Fairfield University, where she graduated with a BA in Communications and Marketing. Roz went on to work for several highly successful entertainment and luxury brands, including BMW, where she created dynamic event marketing experiences with their hybrid vehicle technologies. As the daughter of a psychotherapist, she has been raised with the mentality that empathy and communication are at the foundation of every relationship, and has been excited to explore the application of these important tools in her professional world. In her off-time Roz enjoys exploring her diverse neighborhood in NYC, spending time with her family, and finding new music to enjoy.